With all of the dining options around NYU, it is hard to imagine getting stuck in a food rut. Some restaurants, however, offer an easy way to change up your takeout routine should you find yourself getting bored with the usual options. Many student favorites offer secret, under-the-radar menu items. Chipotle is the perfect place for the secret menu novice to begin, because almost every ingredient on their menu can be seen behind the counter while ordering. While some Tex-Mex classics might be missing from Chipotle’s official menu, many can be hacked from existing items, including a nacho dish, which is essentially a burrito bowl with chips instead of rice. One of the most popular secret items is the quesarito — you can order it by name, or ask for a quesadilla and pile on your chosen burrito toppings. In addition to increasing the burrito’s already enormous size, the melted cheese from the quesadilla ties the whole meal together. Some fans are so obsessed with the restaurant’s secret menu that there is even the Chipotle Secret Menu iPhone app. If you prefer your secret menu items with a side of fries, Five Guys is the place to go. While employees at the location at 56 W. 14th St. may claim not to know about some rumored hidden items, like well done fries or cheese fries, they are happy to make you a patty melt. Order a grilled cheese and add a burger patty to recreate this diner classic. 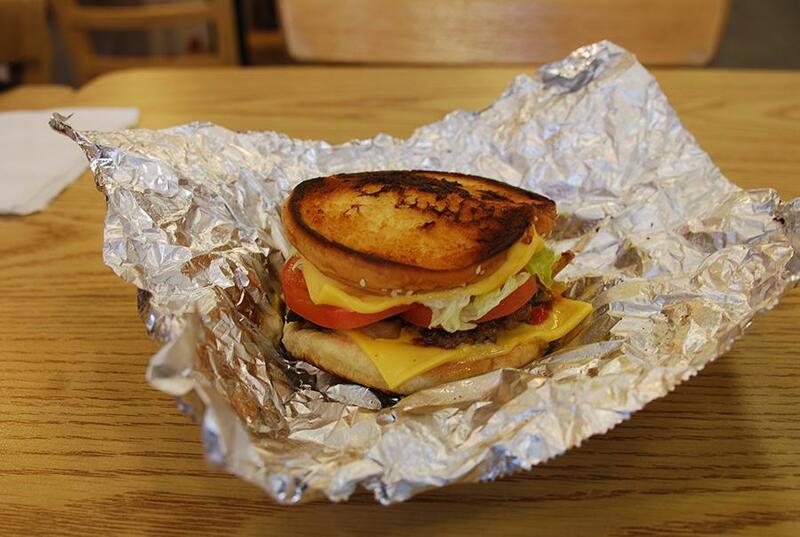 At Five Guys, this item starts with a hamburger bun being toasted on a griddle. Two slices of American cheese are melted on top, and then a burger is sandwiched between with whichever of their many toppings you want — grilled onions and mushrooms are highly recommended. Drinks are not left out of the secret menu craze — Jamba Juice seems to have more smoothies on their hidden menu then their regular menu. Roxanne James, a Jamba employee who works at the store at 4 Union Square S., said the best drink on the secret menu is the White Gummy Bear. “It’s got mango, peach juice and all the sherbets — lime, raspberry, pineapple, orange,” James said. James also said they can make almost anything a customer wants. The only problems come from ingredients that are used for only certain seasonal items. “People come in and ask for watermelon or kiwi, but we just don’t have it,” James said. No matter where you go, ordering a secret menu item does have one rule — be polite. Understand that not every employee is familiar with the hidden menu items, and that during peak hours you might be asked to order something simpler. As long as this is kept in mind, secret menus can be the perfect way to try something new at a place you already love.